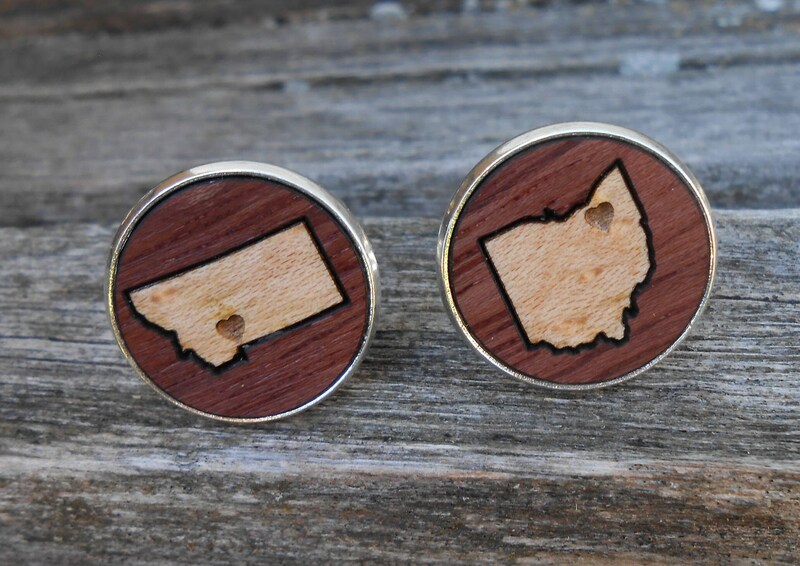 These wood inlay state cufflinks are the perfect gift! 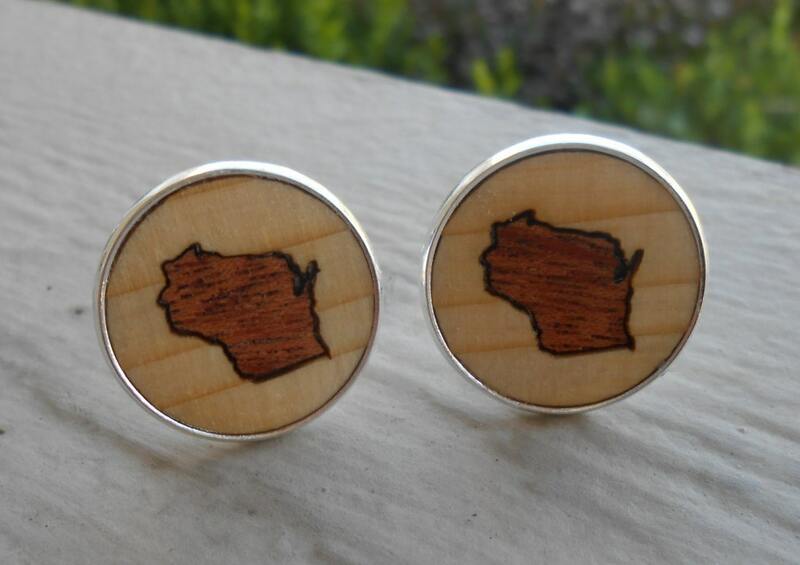 They can be made with the Bride's home state in one cufflink and the Groom's home state in the other cufflink. 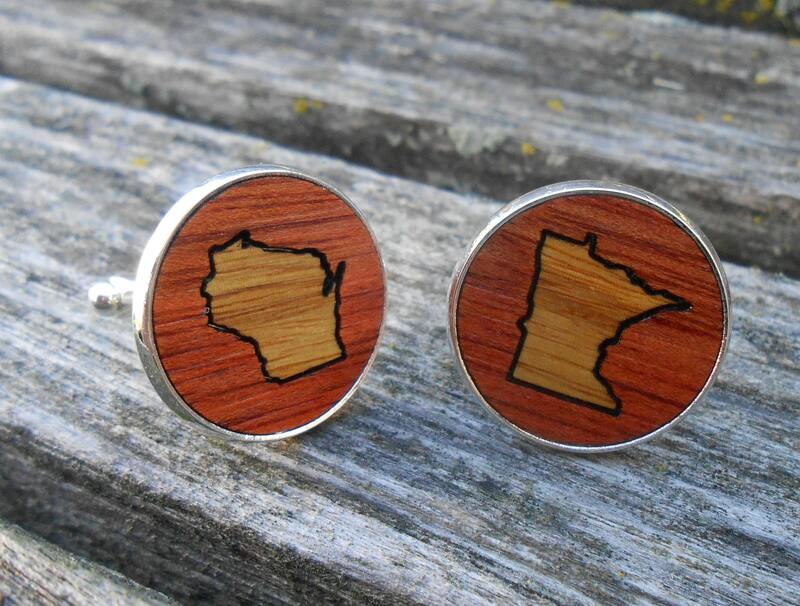 Or we can do the same state in each cufflink. We can even put a heart over your hometown! 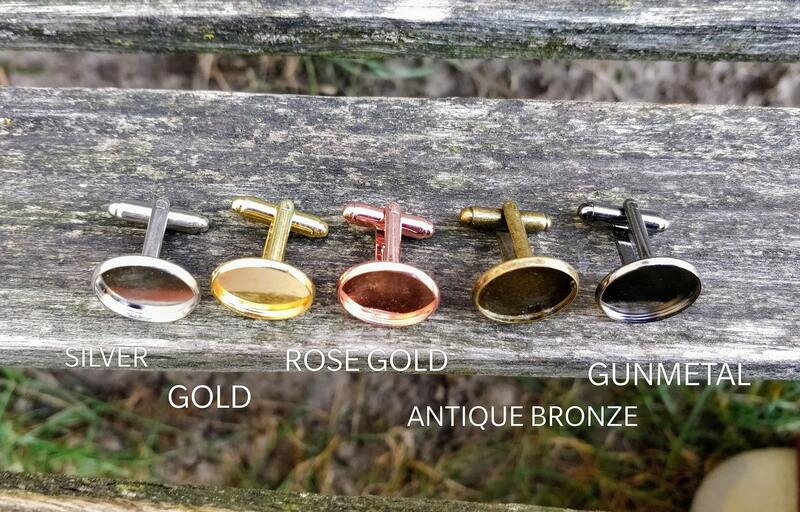 These are set in a 20mm cufflink. See the last photo for the woods you can choose from!!! 1. The states you want. Please contact us beforehand if you want Hawaii. 2. If you want a heart over a certain city. 3. 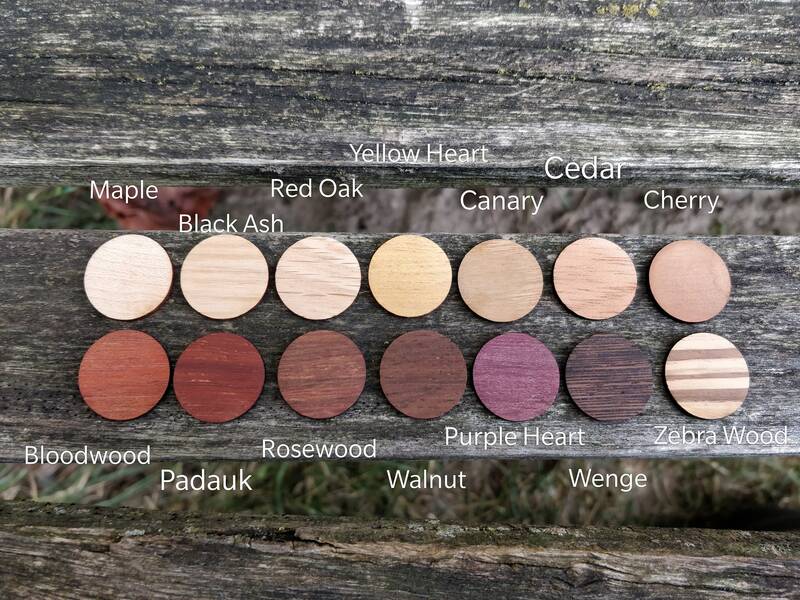 The two wood types you want (clarify inside and outside). SEE photos for colors. 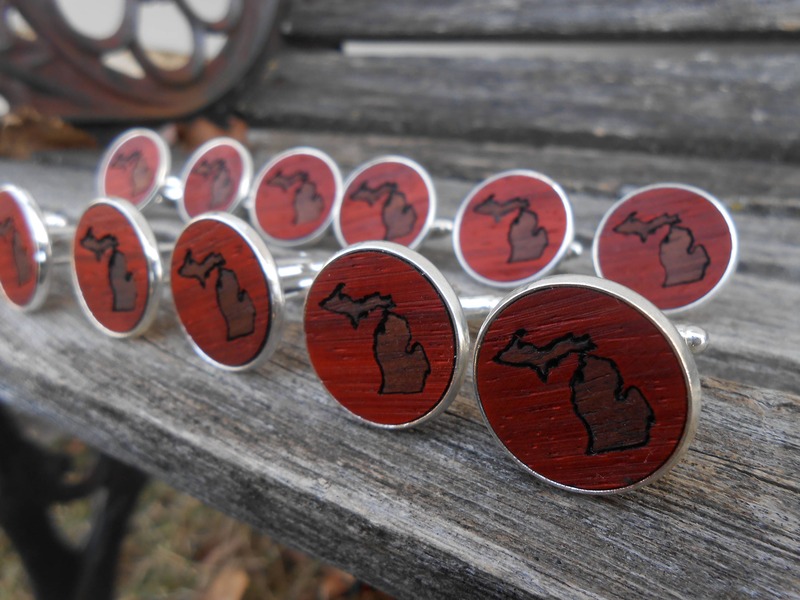 I can also do custom cufflinks. Please send me a message and I would love to work with you on a custom order! 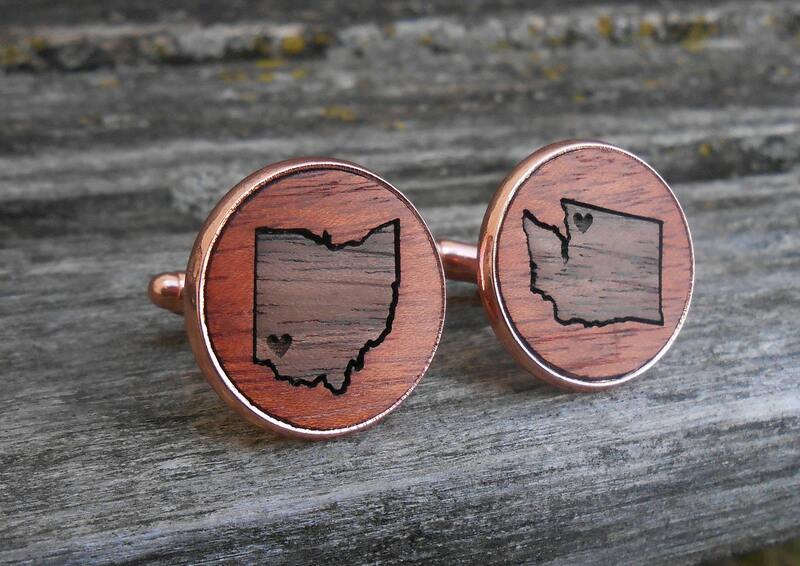 **These cufflinks are carefully cut in out laser machine and then the wood is switched out. Because they are cut with a laser, it does take a little bit off of each edge, so there will be a small space around the state. It's not a flaw, it's just the nature of laser-burning wood.